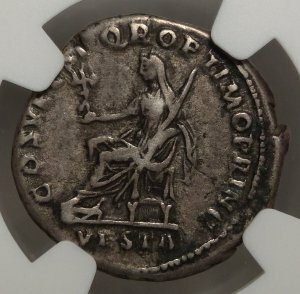 Roman Empire, AR Denarius, Trajan AD98-117 VF (NGC 4277327-003) ... A nice original example of this design, Vesta with a Palladium on the Reverse. 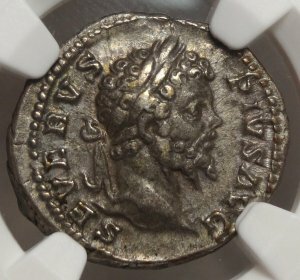 A solid 5/5 strike, good average centering. 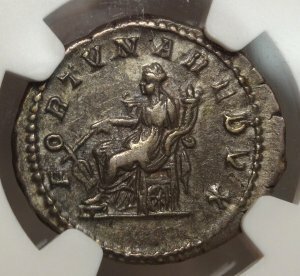 Roman Empire, AR Denarius, Severus AD193-211 Choice VF (NGC 4277327-010) ... A nice original example of this design, Fortuna (Fortune) seated on the Reverse. 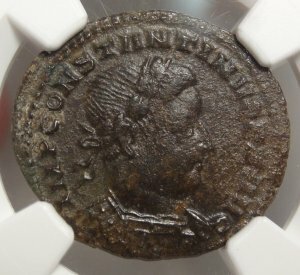 A solid 5/5 strike, good average centering. 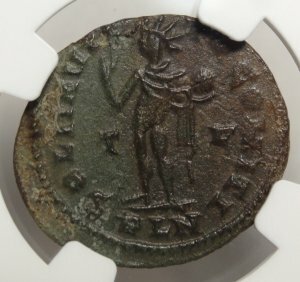 Roman Empire, Bl Nummus, Galerius AD305-311 Choice VF (NGC 4277327-015) ... An original Bronze struck at the provincial mint at Alexandria, Egypt. 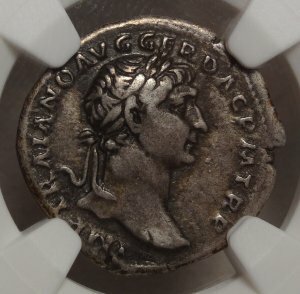 Problem free with solid strike & centering. 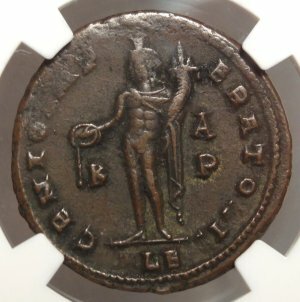 Roman Empire, Bl Nummus, Constantine I AD307-337 XF (NGC 4277327-017) ... 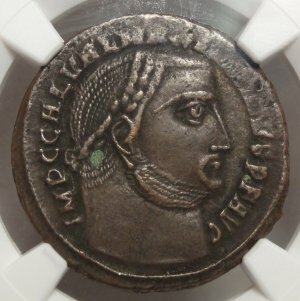 Struck at the provincial mint at Londinium (London) in the name of this famous Emperor. Sharply struck, the surfaces more typical but a solid example.